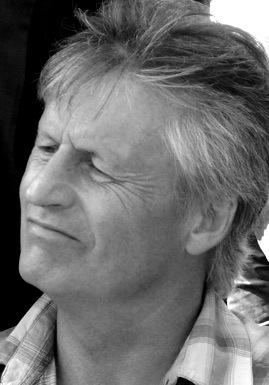 Gareth Jones is a gifted, passionate writer, director and producer with a long and distinguished career in television drama. He works multi-lingually in four European languages, consulting regularly in film and television screenwriting both in the UK and internationally. He travelled widely as a child, which shaped his internationalist creative outlook, and after graduating from St John's College, Cambridge began his career with Prospect and the Royal Court theatres directing Shakespeare, Brecht, Strindberg and Chekhov. His television directing credits range from award-winning ITV comedy Brass starring Timothy West (British Press Guild Award 1983), numerous TV films for the BBC including The Trial of Klaus Barbie (screened at FIPA 1987), and his own 5-part drama Shalom Salaam (SACD Best Screenplay and Best Actress, FIPA 1988) to international documentary Au Nom Du Même Père. Writing credits include original 5-part BBC drama serial Fighting Back (1985) starring singer Hazel O'Connor, TV films Joseph, Mary Magdalen, Thomas and miniseries Saul of Tarsus (MediaSet/Sky 1999/2000), Nicht Ohne Dich/Not Without You (ZDF 2001) and TV film Bonhoeffer - Agent of Grace (Nymph D'Or Monte Carlo 2000, DAG Writer's Prize 2000, Bronze Worldmedal, New York Festival). Through his company Scenario Films he is developing a slate of feature films for the international market, of which Desire is the first to be completed.